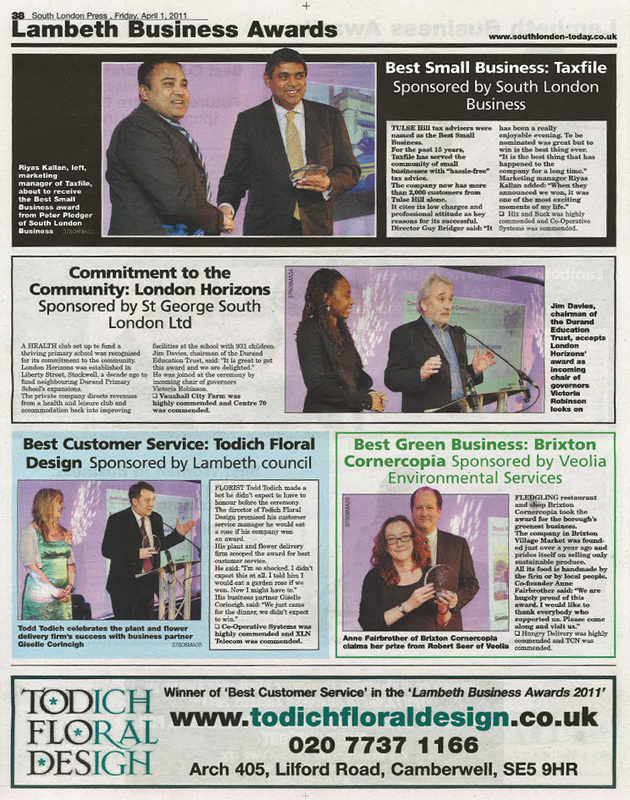 TODICH FLORAL DESIGN Winner of “Best Customer Service” in the ‘Lambeth Business Awards 2011. Florist Todd Todich made a bet he didnt expect to have to honour before the ceremony . The director of Todich Floral DesignÂ promised his customer service manager he would eat a rose if his company won an award. His business partner Giselle Corineigh said “We just came for the dinner, we didn’t expect to win”. Todich Floral Design shortlisted for best green business, award for innovation and best customer service categories. Awards scheme. “It brings the aspirations of the whole community together with one aim.